The welcome address was presented by Shri Ashish Sharma, Sr. Manager (HR), JK Lakshmi Cement Limited. He welcomed Shri Mukul Srivastava, Vice President; Shri Sanjay Sud, Senior General Manager- Electrical; and KEP faculty, Shri Nagesh Kumar and Shri K. K. Chakarvarti. 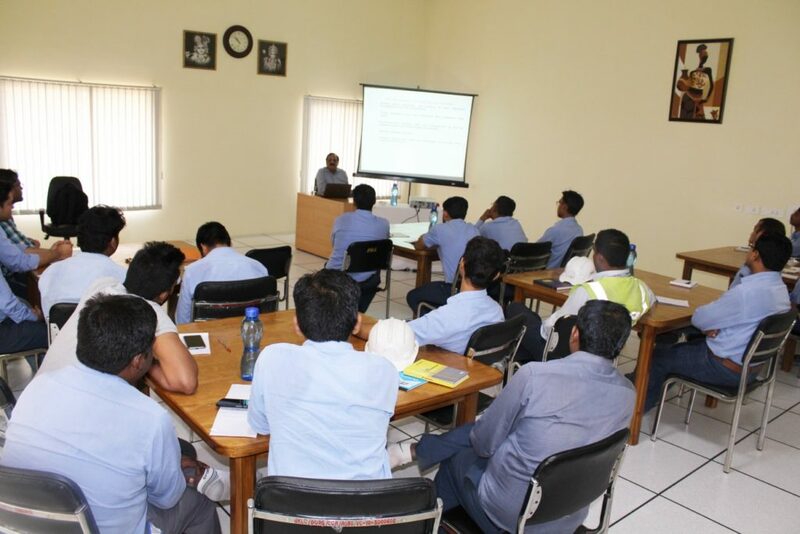 In his address he highlighted the contribution made by KEP in promoting energy efficiency in Indian Industry and hoped that under KEP-SPARC membership, Durg plant will also be greatly benefitted through the proceedings of 2 days’ Training and Capacity building program followed by 3 days’ Small Group Activity program. 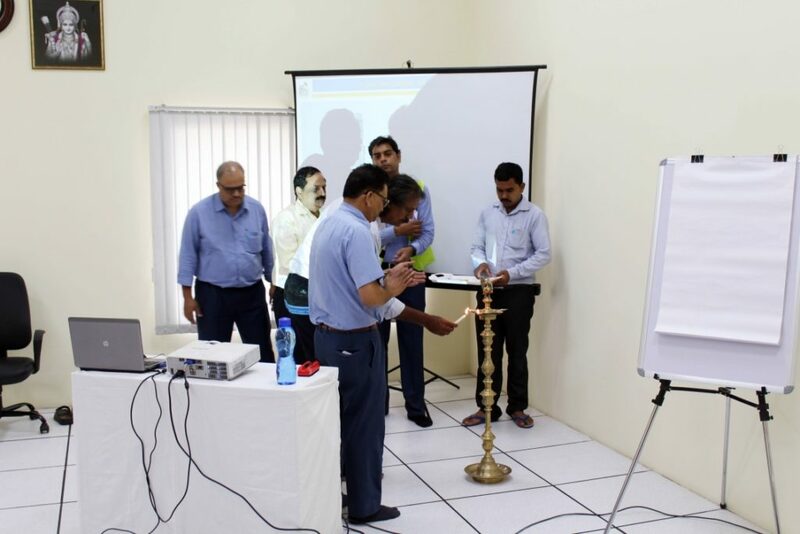 The workshop was inaugurated by Shri Mukul Srivastava, Vice president (Engineering), JK Lakshmi Cement Limited, Durg. In his inaugural address, Shri Srivastava mentioned that the participants of this capacity building program are young engineers and are willing to learn new methods and techniques to improve plant energy performance. He thanked the Corporate office in supporting this initiative and felt that energy saving opportunities will be identified by the participants with the support and inputs provided by the faculty from Knowledge Exchange Platform (KEP). Shri K.K. Chakarvarti, Expert Consultant, and Shri Nagesh Kumar, Expert Consultant, while giving the introduction to the workshop, in the inaugural session explained the participants about the importance and need for capacity building of plant engineers. Shri Chakarvarti pointed out that development of 98 Smart Cities are expected to provide a major boost to the sector and cement demand is expected to touch 550 million tonne by 2025. This may also raise the energy requirement of the sector to 41 million tonne of oil equivalent energy (mtoe). This may be a big challenge for the entire sector and therefore calls for rational use of energy and consistent improvement in energy performance indicators. Before beginning the technical sessions of the workshop, Shri Sumit Ganguly, DGM (Production), JK Lakshmi Cement Limited, Durg, provided an overview on the design and operation of different processes and utilities in the plant so that the participants could keep the plant specifications and needs in perspective while understanding and relating with the suggestions/ opportunities identified in the technical sessions. Shri D. K. Mehta, Plant Head and Sr. Vice President (Works), along with Shri Mukul Srivastava, Vice President (Engineering) interacted with the participant in the concluding session of Capacity Building Program and was pleased to note the positive feedback of the participants. He mentioned that this is a good opportunity for plant engineers to strengthen their capacity building on energy cost reduction and thanked the corporate office for taking this initiative through KEP. Shri Mehta mentioned that opportunity for saving energy is always there and we need to identify the areas for improvement. He said that the case of a fan fitted with VFD and Raw meal Silo aeration system, blowers, where participants have identified the energy saving opportunities. He urged the participants to take up more initiatives during SGA activity so as to utilize the knowledge gained in the capacity building program. KEP is always open to modification/changes in its strategies and approaches based on the feedback from stakeholders, so that all the activities/events being organized under KEP are responsive to industry needs and are customized to specific requirements. In this regard, KEP also sought a structured feedback from the energy professionals of the plant in which 81 % of the respondents mentioned that this training program helped in learning about one or more specific ideas that they will be able to implement in the area of energy efficiency and new approaches to energy management. 76% respondents felt that they have acquired new and/or advanced skills/ knowledge on energy efficiency and the training program has helped in building their capacities for better able to build my capacities for better decisions/actions at the plant level.